The kinase cascade initiated by Ras originates from transmembrane receptors that are activated by external cues. 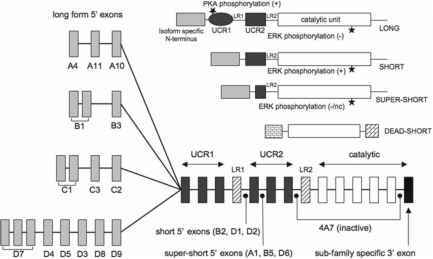 Consequently, scientists initially believed that Ras was active only at the plasma membrane and that the MAPK pathway propagated from the plasma membrane to the nucleus. More recent work has shed light on the importance of initiation of MAPK signalling from discrete subcellular domains and organelles. This compartmentalisation provides not only regulation of the MAPK pathway, but also enables cells to distinguish MAPK signalling from different sources (Mor and Philips 2006). Further spatio-temporal regulation of MAPK is provided by molecular scaffolds (see Sect. 4, below). The combination of extracellular signals, compartmentalisation and molecular scaffolds creates an intricate system used by cells to regulate a fundamental signalling pathway.